HQ Raleigh officially opened its doors inside the newly renovated, historic Capital Club building on July 1 in downtown Raleigh. The Maurer team is proud to have led this renovation. 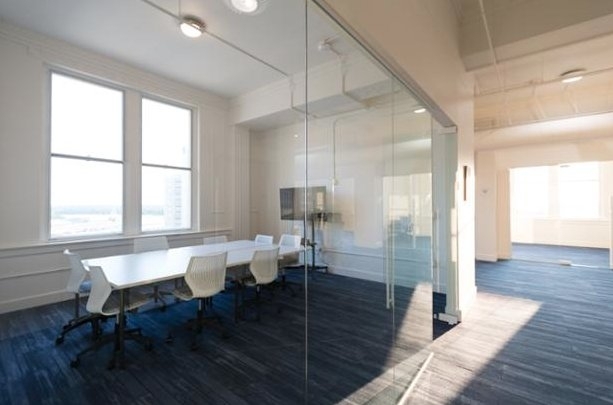 HQ Raleigh now occupies the top five floors of the building—leasable office suites and meeting spaces are now available on floors 8-11 and the 12th floor houses a 4,000 square foot ballroom used for private events and weddings. We removed old carpet and low acoustic tile ceilings. The new space has bright glass front offices and exposed original plaster detailing. Check out the HQ Capital Club website for leasing information on office, meeting and event spaces. More information and an informative video on the space here.